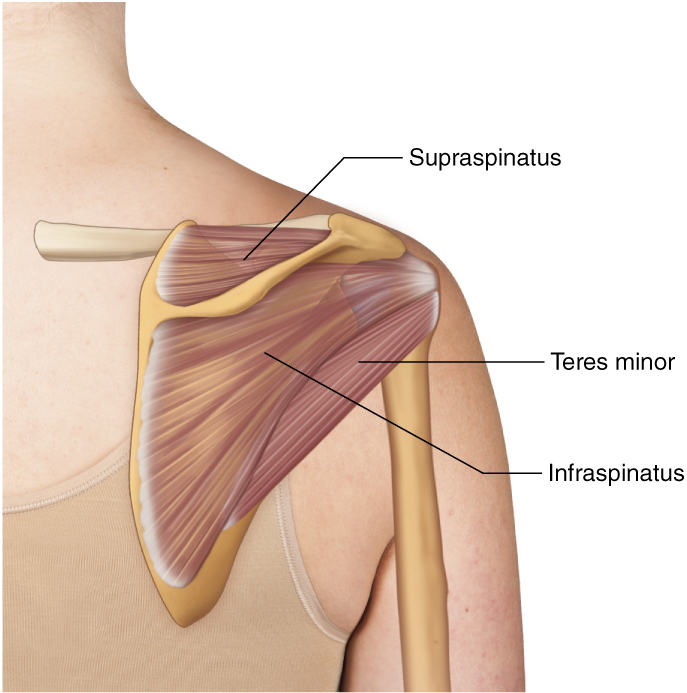 Posterior view of the right teres minor. The infraspinatus and supraspinatus are ghosted in. Permission Joseph E. Muscolino.